In 2000, motorcycle fatalities accounted for about 8% of all traffic fatalities in Florida, but by 2008 the percentage had increased to 17.8%. By 2010, motorcycle fatalities dropped to 14.3% of all traffic fatalities. In 2011, motorcycle fatalities have returned to 2008 levels, accounting for 17.0% of all traffic fatalities. In 2011 in Florida, impaired motorcyclists with blood alcohol content (“BAC”) of .08+ accounted for 26% of motorcycle fatalities, while impaired motorcyclists with a BAC of .01+ accounted for 32% of motorcycle fatalities. Nationally, in fatal crashes in 2011 a higher percentage of motorcycle riders had BAC of .08 grams per deciliter (g/dL) or higher than any other type of motor vehicle driver. The percentages for vehicle riders involved in fatal crashes were 29% for motorcycles, 24% for passenger cars, 21% for light trucks, and 1% for large trucks. In 2011, the percentage with BAC .08 g/dL or above was highest for fatally injured motorcycle riders among the 40-44 (38%) age group, followed by the 45–49 and 35–39 age groups at 37%, respectively. Having a BAC greater than 0.05% increases the risk of crashing about 40-fold. ¼ of all fatal alcohol-related motorcycle crashes involve motorcyclists running off the road, overturning, or falling from the motorcycle rather than striking another object. 28% of fatal motorcycle crashes in 2011 occurred during the months of March, April, and May. Information from death certificates issued in 2010 show that 29% of motorcycle traffic fatalities were associated with a traumatic brain injury, 35% with injuries to multiple body regions, 30% with injuries to unspecified body regions, and 9% with injuries to the thorax. For nonfatal injuries among motorcycle riders that required hospitalization from 2007 to 2009, injuries to the lower extremities were responsible for the highest percentage of hospitalizations at 35%, followed by traumatic brain injuries and torso injuries each at 20%. The two most common types of principal injuries sustained in nonfatal motorcycle crashes requiring hospitalization were fractures (67%) and injuries to internal organs (23%). Upper extremity and lower extremity injuries account for over ½ of the injuries for motorcycle riders treated in emergency departments from 2007 and 2009. Superficial wounds and fractures together account for over ½ of injuries to motorcycle riders treated in emergency departments from 2007 and 2009. Fatal injuries, though the most severe, account for only a small portion of the overall injury burden among motorcyclists. In fact, nearly seven times more nonfatal injury hospitalizations and over 20 times more emergency department visits occurred for nonfatal injuries during the three year period from 2007 to 2011. In 2011, 49% of motorcyclist hospitalizations and emergency department visits were not covered by commercial insurance. Wear helmets when riding. Riders who do wear helmets are 71% less likely to incur a traumatic brain injury than those who do not have helmets on. Motorcyclists with helmets are also 37% less likely to die in a motorcycle accident. Wear brightly colored clothing and use bike reflectors to make it easier for drivers to see them. Make eye contact with drivers and use hand signals and turn signals to communicate their intentions to drivers. Avoid higher-risk behavior such as speeding and lane splitting. Pay attention to the road and avoid behaviors such as drowsy, drunk or distracted driving that make it more difficult to see a motorcycle rider. Give motorcyclists the right-of-way when required. Motorcycles should be treated just like any other car on the road. 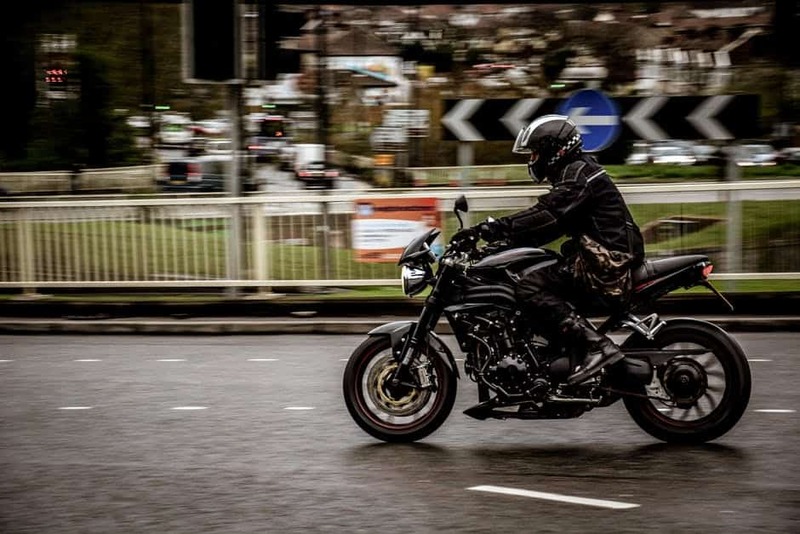 Avoid speeding or tailgating behind a motorcycle rider. Remember motorcycle riders are more affected by changes in the road surface than passenger cars.